When you get to the end of a game, and you’re begging for it to be over (out loud even, at least once), that’s not a good sign. I’m not saying it’s a bad game, just that it’s way too long. 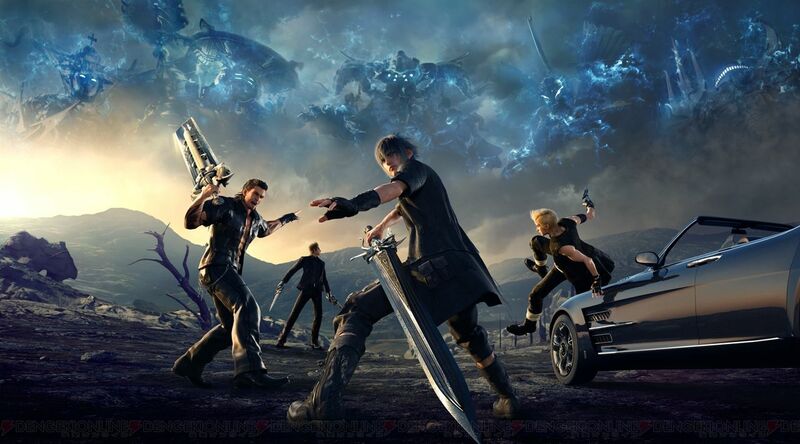 I wish I could tell you that Final Fantasy XV was completely awesome in every single way. That seems to be its reputation, and heaven knows they spent enough time on the game (10 year development cycle, reportedly), but the game isn’t that awesome. It’s not totally terrible—except in a couple of instances—but it’s just not that great. Now, I don’t know from JRPG’s. I don’t play them, except for one back in 1995 because a roommate owned it. During the 360 era I started to play a Final Fantasy game, but after a couple of hours of play the tutorial still wasn’t over and then I found out it lasts for 20 hours and I noped right on out. None of that matters. FFXV bills itself as “A Final Fantasy for fans and first-timers.” (it’s right on the very first screen every time you launch the game), so as a first-timer, here’s my impressions. The first little while, pretty much all the way up to when the initial land mass opens up, was good. It was enjoyable. The teleporting thing was cool, the monsters were interesting (heavily influenced by AD&D, apparently), and I got a kick out of all the dungeoneering. The combat was enjoyable, if occasionally frustrating. I get they’re trying to hybridize old FF (wander around the map, get attacked, stand in a line taking turns attacking) with perhaps a more western style, but the combats were still too formalized for my tastes—there’s actually a border on the map that if you go past, the combat is over. Kinda weird. The art was good, no complaints. Though if you have a hottie mechanic chick you dress in a practically-not-there outfit, her large, barely-encased-by-a-big-bikini bosoms shouldn’t sit motionless on her chest like she’d glued two cantaloupes to her rib cage. Real breasts move, and when you’re highlighting them that much, yours should, too. If you’d encased her in heavy clothing or a full suit of armor like the other women, it wouldn’t have mattered. But sometimes jiggle physics actually become kinda important. This time, they were. I’d like to tell you I thought the rest of the stuff—kings, empires, ghosts of dead kings, dead gods, magitek, immortal person—was cool. Either that, or tell you it was absolute trash. Unfortunately, I can’t. I have nearly no idea who they were, what was going on, why it was going on, why the story suddenly jumped 10 years, why the king had to die to end the evilness, and a whole bunch of other stuff. None of it had any real explanation, it just was. The Mass Effect universe was more complicated, but at the end of ME1, I understood a lot of the history of the setting (Krogans, Geth, humans and the Council). Not so with this game. Which brings me to the story. Largely because of all this stuff occurring for no explicable reason, the story was completely opaque. Characters showed up without any introduction, jumped into combat with us, disappeared only to stop being mercenaries and turn into disaster aid organizations and occasionally help you in combat. Too many random characters, too much history, too much nonsense that was never explained. The too-frequent and overly-long cut scenes didn’t help. They tried to punch emotional buttons, but all they did was make the game way too emo. At one point, you can start meeting a dog, who can teleport you back in time. (This allows you to complete missions in areas that would otherwise be locked off because story.) I have no idea what this dog was, why it had the magical time travel ability, and why couldn’t I just use it to prevent the bad guy’s intricate plan from getting off the ground and, oh yeah, save me, my dad, and my fiancee. It was just one more inexplicable oddity in a game full of inexplicable oddities. I read that the story makes perfect sense if you bothered to watch the FFXV movie Kingsglaive. That may be true. I haven’t watched it, because if it isn’t in the game, it isn’t germane. Some IP’s—like Halo—get inundated with storycruft over time. Comics, movies, novels, and on and on expand the universe, and later games depend on you having read each of those in order to understand what just happened. Well, FFXV managed to hit Halo 5 levels of storycruft in the middle of the very first outing of this specific FF IP, which is pretty damn impressive if you ask me. Not good, but impressive. I’m not saying this is a bad game, just that it wears out its welcome long before it should. An impenetrable story, boring exploration, and GRIND out the wazoo make it much less than it should have been. After a decade of development, I’d expect the game to be MORE. More detailed dungeons, more dungeons, better balanced mechanics, more interesting characters, more realistic chest animations. Sure, it had the length thing down pat, but that’s not always a good thing. Elongating the boredom doesn’t necessarily make a game any better. Sometimes it just makes you beg for it to finally be over. Had heard this one was “great”, but was wondering if it was my type of game. Now I know. Thanks again, Mr. Jones, for taking the hit so us Castalia House consumers don’t have to. I haven’t enjoyed this series since IX. Hasn’t been the same since the old guard left.